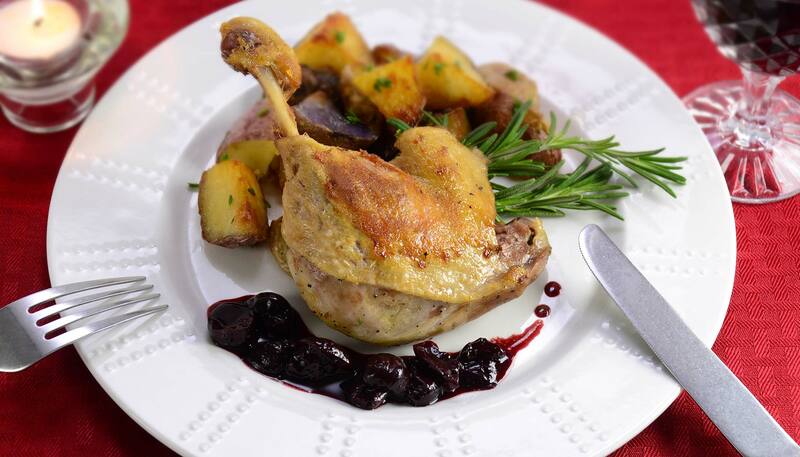 Duck confit is a flavorful dish that is considered the finest dish of French cuisine. The meat is cooked slowly in its juice which creates an extra tender, juicy dish. 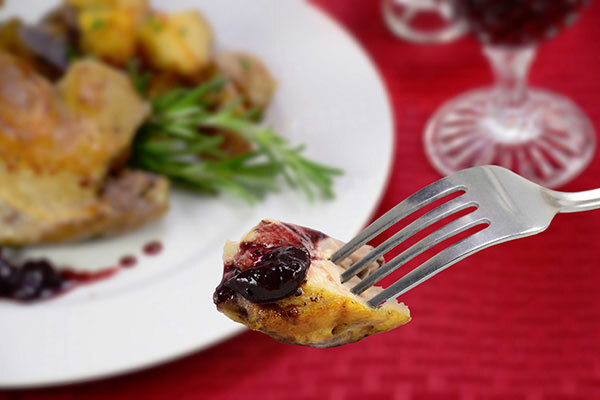 Enjoy it with Zojirushi’s original cherry sauce. Marinate the meat. First, rub sugar over the duck, then with salt and black pepper. 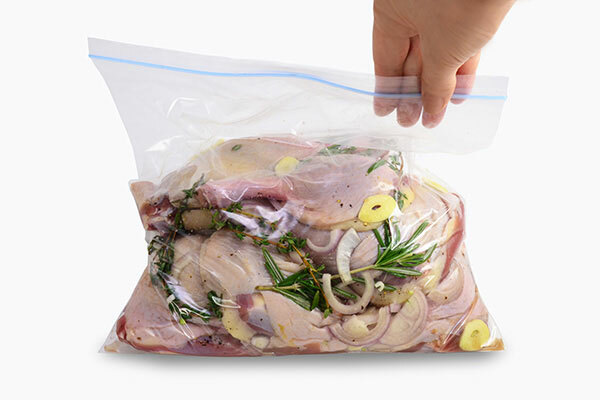 Coat with thyme, rosemary, sliced garlic and shallot then place in a plastic bag, refrigerate for at least 24 hours or up to 48 hours. After marinating, pat the duck dry with paper towel, but do not wipe off the marinade. 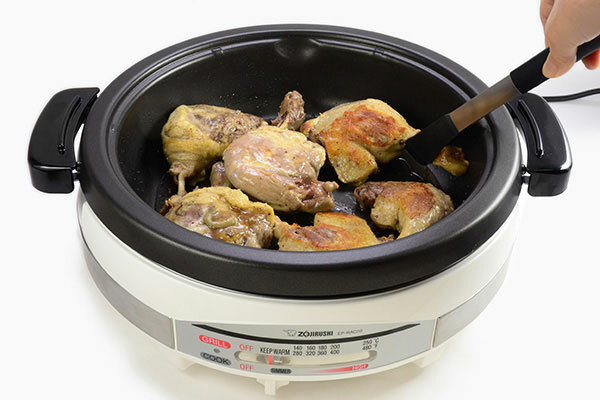 Place duck fat in the Gourmet d'Expert® Electric Skillet and set heat to SIMMER. When duck fat melts, place and arrange duck pieces in a single snug layer. Add bay leaves and cook at a very slow simmer until the duck is tender - about 2-1/2 hours. Turn off the heat and allow to cool down in the pan. 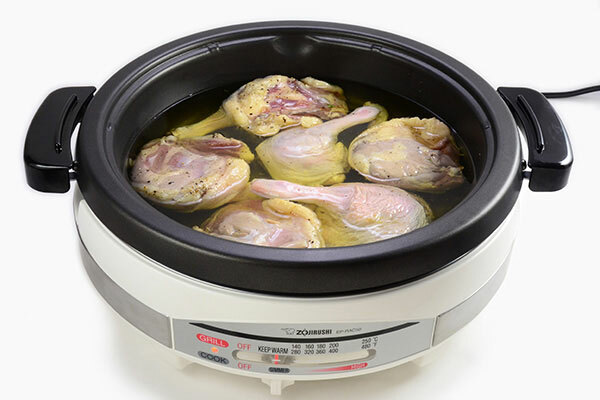 When the fat cools to touch, transfer duck and fat to a container. 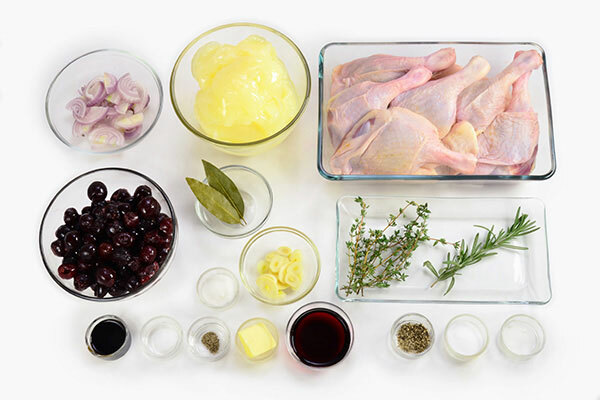 If confit is not going to be eaten right away, store meat with the fat in the refrigerator. It can be kept in the refrigerator for up to 2 weeks. Make the sauces. 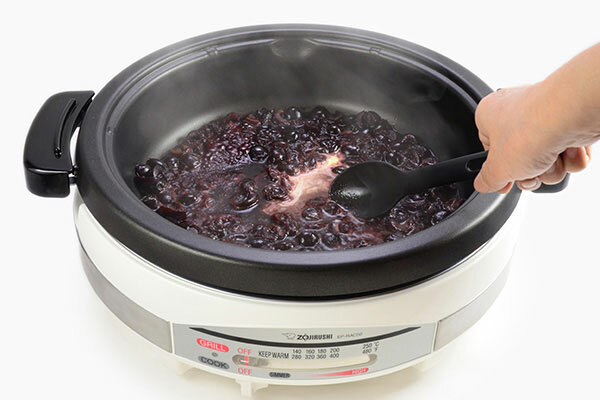 Cut cherries in halves, and add all ingredients except butter to the Gourmet d'Expert® Electric Skillet, set control knob to 360ºF, bring to a simmer. Stir and cook for two minutes or until cherries are heated through. Turn off the heat, add butter to the pan and stir to melt. Transfer to another container and set aside. 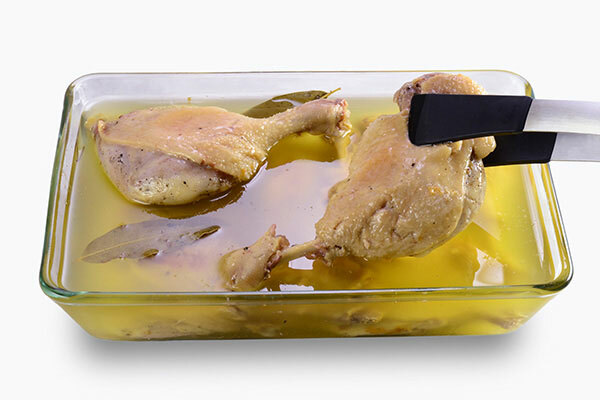 To finish confit, remove the duck from fat. Place skin-side down in the Gourmet d'Expert® Electric Skillet and turn control knob to 360ºF. Cook for 5 minutes or until skin turns brown. 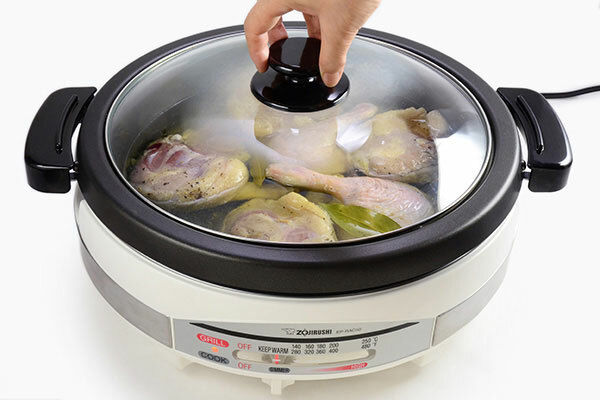 Turn control knob to WARM, flip the duck and repeat step to brown. 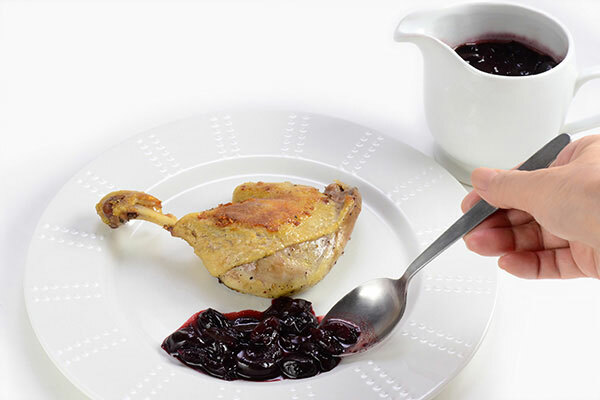 Arrange duck on plates and spoon the cherry sauce to side of them.